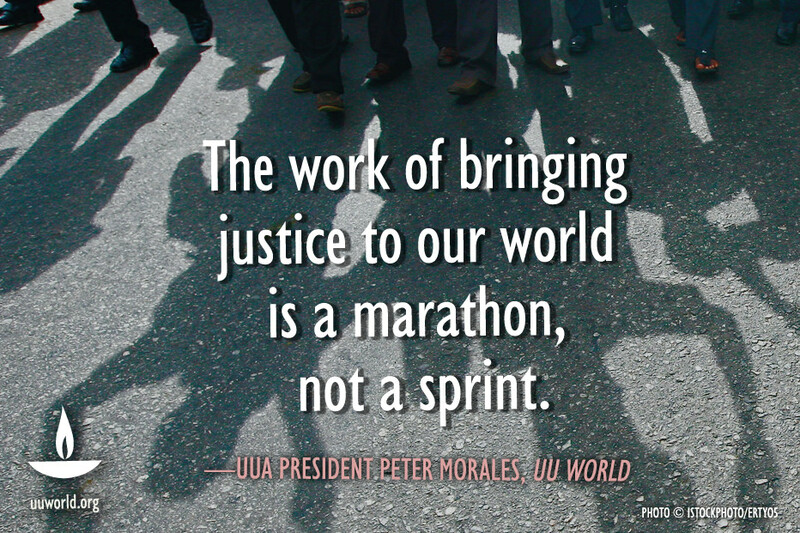 The Unitarian Universalist Association (UUA) grew out of a consolidation, in 1961, of the Universalists – who had organized in the US in 1793 – and the Unitarians, organized in this country in 1825. The original ideas and ‘theologies’ of both Unitarians and Universalists are rooted in the first three centuries of the Common Era. When the Nicene Creed (325 CE) established the trinity as official dogma, ideas such as a ‘Unitarian’ God and ‘Universal’ salvation were defined as heresy. Unitarian Universalism has a long history evolved from those original liberal religious views about Jesus and human nature into a rich pluralism that includes humanist, theist, atheist, agnostic and , as well as members of many cultural faiths and religions. UU is a religion committed to keeping an open mind to the human issues that people have struggled with in all times and places. We believe that personal experience, conscience, and reason should be the final authorities in religion.